Georgian singer Tamar Iveri (right), a soprano contracted to perform in Opera Australia's upcoming production of Otello, was released this weekend after posting anti-gay comments on her Facebook page. The post was framed as a letter to the Georgian president regarding the violence which occurred at a gay march in the capital of Tbilisi. “I was quite proud of the fact how Georgian society spat at the parade … Often, in certain cases, it is necessary to break jaws in order to be appreciated as a nation in the future, and to be taken into account seriously,” the post said. It was deleted following the recent backlash. On Monday Opera Australia shared a Facebook post of its own, saying Iveri would not be performing the role of Desdemona in Otello. 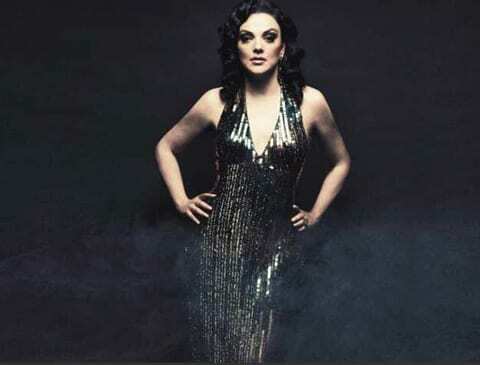 “Opera Australia has reached agreement with Ms Iveri to immediately release her from her contract with the company,” it wrote. Iveri now claims the post was written by her husband, stating that he has a "tough attitude towards gay people," and is "very religious." Her arguments seem not to have swayed anyone, as she has reportedly been dropped from a 2015 performance with a Belgian opera company as well. The public response to Iveri's dismissal has been overwhelmingly positive.